Producers of Broadway shows oftentimes wait for the passing out of coveted Tony Awards before determining whether they will pull the plug on a production. Receiving one or more awards typically will guarantee that a weak show at the box office will get a second or third consideration by the public and a pass by the producers. But, with the cost escalating to more than $100 per seat for mediocre shows, tickets are not selling in many houses for works that received lots of Tony buzz earlier in the season. 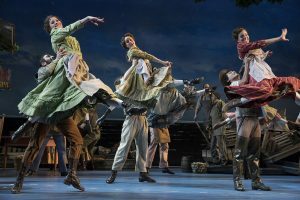 In the case of Rodgers and Hammerstein’s Carousel, two Tony Awards – one for Justin Peck as Best Choreographer and another for Lindsay Mendez as Best Featured Actress in a Musical (Carrie Pipperidge) – were not enough to interest young theatre patrons in seeing a classic of yesteryear or to bring old timers back to the see the show again. That is a perfect shame. Indeed, in many ways this is a sparkling gem of a musical. This production outshines many previous incantations of the 1945 show, which Richard Rodgers considered his personal best collaboration with Oscar Hammerstein II. 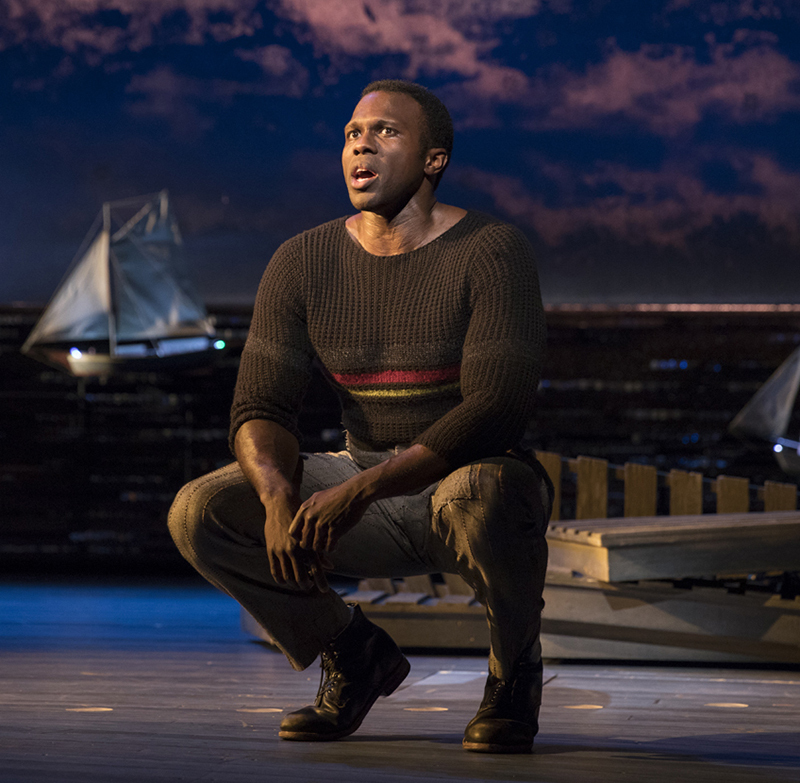 The fact that Henry was nominated for his third Tony Award this year (his previous nods were for The Scottsboro Boys and Violet) may be lost to history now, but in many ways, his performance is one of the strongest in the work. The bad boy carnival barker who is tamed by love is the central theme of the work, based on the play Liliom by Hungarian playwright Fernenc Molnár. Billy’s eventual redemption for a life gone wrong is at the heart of the second act and his love for his child, Louise, is what motivates him to take action and, in so doing, safeguards her. With his impending fatherhood, Rodgers and Hammerstein have Billy run through a gamut of emotions in “Soliloquy.” It has always been a tour de force for singers like John Raitt and in the 1956 movie with Gordon MacRae. However, with Henry’s booming voice and his sometimes delicately phrased singing, this song serves as a thrilling end to Act One. In fact, it may be setting a new standard for future holders of the role. His rendition is nothing less than stunning. 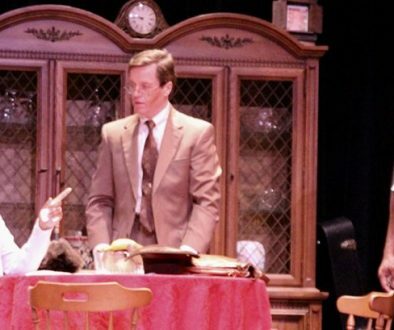 As she proved on so many previous occasions onstage, Mueller is an actress to be studied for her generosity to others. She breathes life into the character of Julie, bringing depth to the tortured woman who loves Billy deeply and wisely recognizes his abuse towards her is borne from his frustration in not being able to provide for her. Mueller also enjoys a lovely second act duet with Renée Fleming, the gorgeous opera diva, in “What’s the Use of Wond’rin?,” a song that, by today’s standards, seems to glorify co-dependent behavior. As Billy’s emotional arc becomes larger, Julie’s importance lessens and we see less of her. Fleming, who was also nominated for a Tony Award as a Featured Actress, plays Nettie, the matriarchal town leader. 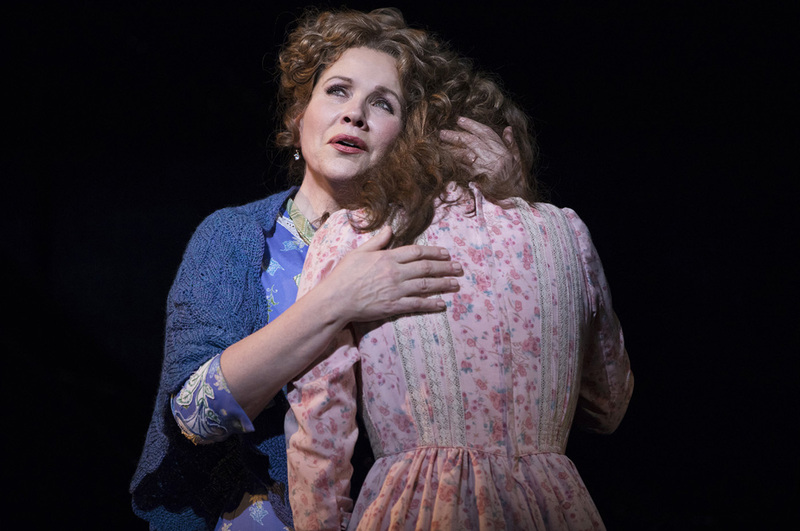 She sings lead in two other standards – “June Is Bustin’ Out All Over” and “You’ll Never Walk Alone.” Making her Broadway debut on the Imperial Theatre stage, Fleming does an outstanding job in powering through the selections without overpowering her other cast members. 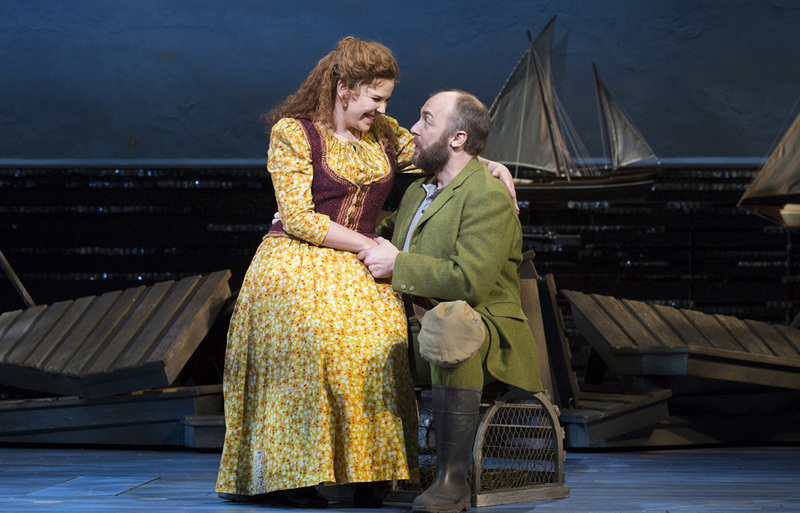 Alexander Gemignani plays Enoch Snow, the pungent fisherman who captures Carrie Pipperidge’s heart and eventually wins over her nose. During “Mister Snow,” Mendez excitedly reveals her newfound love to Julie and during the duet “When the Children Are Asleep” Gemignani and Mendez share what they envision married life will be like. Margaret Colin (Jackie: An American Life) portrays carnival owner Mrs. Mullin, who attempts to keep Billy under her thumb and away from Julie. Yet, with all of the talented singing on the stage, this Carousel is dominated by some of the most impressive dancing there has ever been on Broadway. Justin Peck, the resident choreographer at the New York City Ballet, blew the top off the work with never-before-seen routines and amazing balletic movement that clearly established the musical as extraordinary. The opening orchestral piece, “The Carousel Waltz” is one exciting example of Peck’s and director Jack O’Brien’s completion of a vision wherein dance fills the stage at the same levels as song. While Rodgers’ music fills the theater, a representation of a massive carousel descends from above and is lit, while pairs of dancers pirouette beneath it in a circle. It is nothing short of breathtaking. 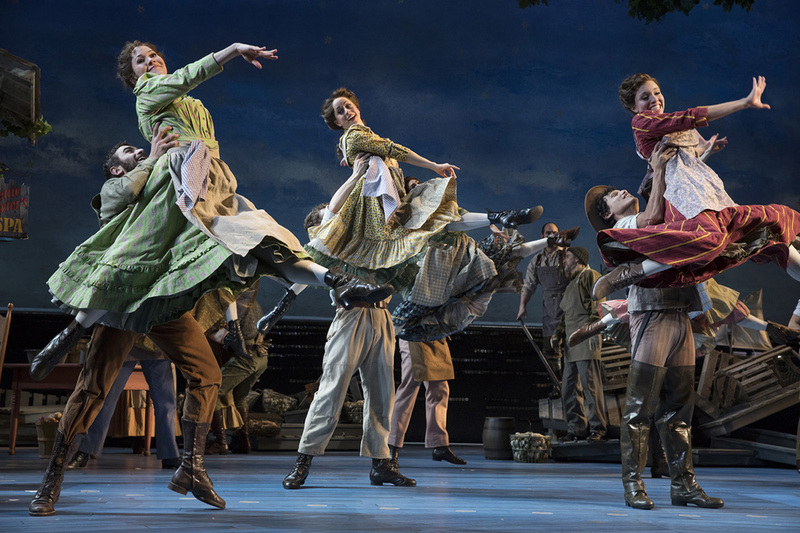 The second act’s “Blow High, Blow Low” allows the male cast members to show off their dancing prowess against the backdrop of Santo Loquasto’s scenic design. Amar Ramasar, who was also Tony-nominated for his role, leads the troupe as the unscrupulous Jigger. It is then that Billy receives an opportunity to influence his now-grown daughter for one day on a return to earth by the Starkeeper (John Douglas Thompson) just as she is about to graduate from high school. Brittany Pollack, plays Louise, the unborn daughter Billy leaves behind. A soloist with the New York City Ballet, Pollack makes her Broadway debut with the leading role in the second act ballet first executed by Agnes DeMille. Pollack dances impressively and advances the plot to its ultimate conclusion. The Boss, cartoon sponges and mean high school girls continue to dominate the box office for new Broadway shows this year. 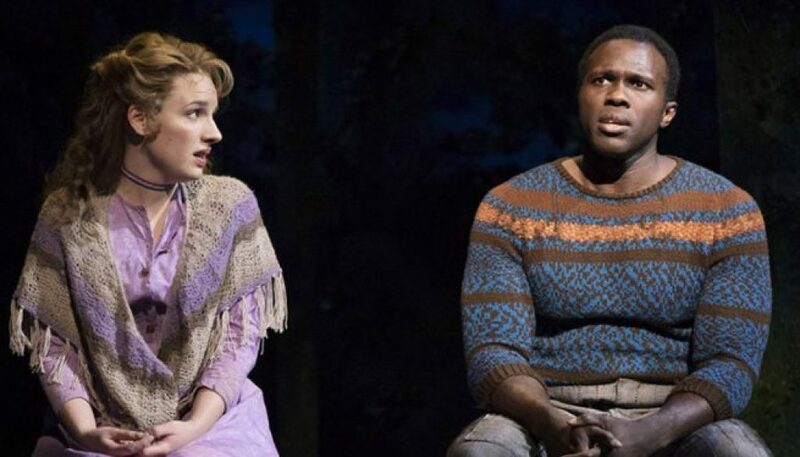 But the richness of Rodgers and Hammerstein’s Carousel deserved a better reception. 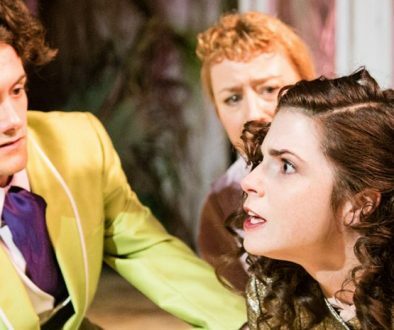 This is a thoroughly enjoyable afternoon or evening of theatre that pays homage to its past and updates the material as much as it can to today’s standards. 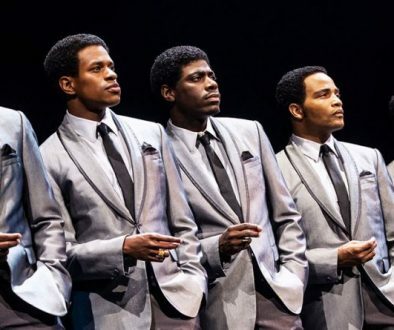 With such an incredible cast and creative team, this show deserved to be on Broadway for years to come rather than face the early closing its producers have announced. Rodgers and Hammerstein’s Carousel continues at the Imperial Theatre, 249 W. 45th St. in New York. The show is slated to close on September 16. For tickets click here or call 212-239-6200. Two-for-one ticket discounts are available.